For just over 10 years, from 2000 to 2011, I kept a public list of every consumer item that I bought. You can see the list on the website Shornbare.com, which I built in 1999, back in what seems like now the early days of the web. My intentions for the website were hazy at the time but they were part of an urge to both examine and expose my life and in so doing to create a persona that, although related to me, also allowed some form of creative freedom; a blurring between documentary and fictional documentary. I never attempted to publicise the site in any way, apart from occasionally sending a link to someone who I thought might be interested – mainly work colleagues or friends – and there were no contact details. Instead I imagined someone stumbling across it accidently and attempting, from the lists and work recorded there, to figure out the kind of person behind it all. And I include myself in that category of people that accidently stumbled across the site. The examining and exposing of my life had a kind of moral purpose as well. On the one hand I felt that I’d got into a cycle of consuming too much, but on the other I was intrigued about what that consumption did for me in terms of my activity and life more generally. I conceptualised my consumption as input; a necessary part of transforming my life into new things of value, and I imagined my life as a machine, fuelled by the things I bought and finely-tuned in operation to produce energy, and motion, and forward travel. That’s easy to express for something like music, for example, where one can beat a path between what one listens to and what one produces. It’s not so clear for something like a pair of jeans or a mobile phone. What I was also interested in, of course, was whether these things of value were, in fact, valuable. That is to say, was all the consumption worth it? Was I a stuttering machine rather than a finely-tuned one? A machine with borderline affluenza . I was also interested in another kind of life, and that was the life that ‘things’ have, from their birth (into my life) through to their death (thrown away, lost, given away, or sold). The period in between birth and death, during which the thing becomes part of your life, spawned a series of sub-questions; how often are useful things used? how do things become valuable things? It has always struck me that by far the largest proportion of a thing’s life is spent not being actively used. Chairs just mainly abide, waiting for someone to come along and sit on them; a kettle waits to be called into brief, powerful, service before being left neglected on the kitchen counter-top again. I set out wanting to document all the lives of all the things that came into my life; to map the magnetism and magic in Calvino’s terms. So this was an inquiry both into the lives of inanimate things, but also into how those lives affected my life. These concerns, of cause and effect, were, and still are, echoed in my professional research where I’ve always been interested in how the intentions of a designer, in forming a design, affect the lives of those who go on to use the design and who may know nothing of the designer and her intentions. What I decided I needed was to make myself objective both to other people, who could judge for themselves what it all meant, but also to myself, to allow me to experience myself analytically, as someone separate from me; someone other. I needed to create a distance between myself as a consuming machine and myself as a functioning person. Essentially to be able to ask myself the existential question: who is this person and how do the things around them allow them to exist? So this is what I found. Between November 2000 and January 2012 I bought and listed 878 things. What counts as a thing? Initially, I thought of the list as being solely about products – coffee machines, iPods, telephones, etc. – but that was way too narrow a definition – lots of meaningful stuff like clothes, cars, houses, and bicycles had to be there. Fairly early on I decided to set a minimum price, something like £4, with anything costing less than that, like light bulbs, not making the list. There was no upper limit. Books, music, and films it seemed to me to belong to a different category of thing – more like delivery mechanisms for changing content – and that play a slightly different, perhaps more cerebral, role in life. I listed those separately on my website  as well as adding one photo a month from all those I was taking . Then there are odd things that crop up. What about gifts? I decided they didn’t count, either things given to me, since I had not chosen them as something I needed, or things that I’d given to others which, although in a sense needed by me, didn’t play an active part in my own life other than the initial giving. What about things that were bought for me at work, like an Apple laptop? I decided not to list these, although I used them outside of my working life they were mainly used for work activity. And things that deplete – like aftershave or paint? I decided they could make the list as long as there was potential for them to be loved, though throwing away an empty bottle of aftershave or tin of paint is obviously different from throwing away a desk lamp that you no longer want. But that discounted, for example, petrol or washing powder. It seems to me to be the brand (Shell, Persil, Heinz) that is doing the sole work there to inveigle the raw stuff into your affections. Then there is software – what to do about that? I started off putting it down, but it just didn’t feel right, and when Apps came along with smart phones, they didn’t seem right as ‘things’ either. So they didn’t get listed. Then there were things that were parts of other things, usually as replacement or routine maintenance; bike and car tyres for example, which I listed. I also listed things that functioned as raw material for other things, like wooden planks for example. And there were overlaps between types of things, mainly between sports clothing and clothing, for example, though they seem to me to be doing slightly different things. There were times when I forgot to list things for one reason or another, or where inconsistency crept in over the years. But hey, I’m not claiming this as science, I just wanted to get a better understanding of the shape of my life and its relation to stuff. So, 878 things in just over 10 years. That number was smaller than I was expecting. Worked through as one thing every four days, though, it seems like a lot. The paradox is right there. In large numbers there is only quantity; in small numbers there is quality. In amongst these things were 2 cars (both German), 4 cameras, 5 mobile phones, 3 computers, 2 houses, and 5 fountain pens. Most of the 878 things were items of clothing – 30% of them in fact, or one item of clothing every 14 days. Over those ten years I bought 24 pairs of jeans, 19 pairs of shoes, 30 T-shirts, 55 pairs of socks and 38 pairs of underpants. 250 of the items, or just less than 30%, were sports related, although 129, just over half of those sport things, were items of clothing. 130 things related to cycling, 27 to golf, 27 to squash, 19 to running, and 15 to swimming. And that gives a pretty good reading of my sporting life in those 10 years – cycling and running throughout, giving up squash with an arthritic big toe, and taking up golf (there is a nice symmetry to that number 27). 20 bike tyres does seem kind of excessive though. 198 things related to the house, either things to situate within the house or to use for decorating and arrangement. 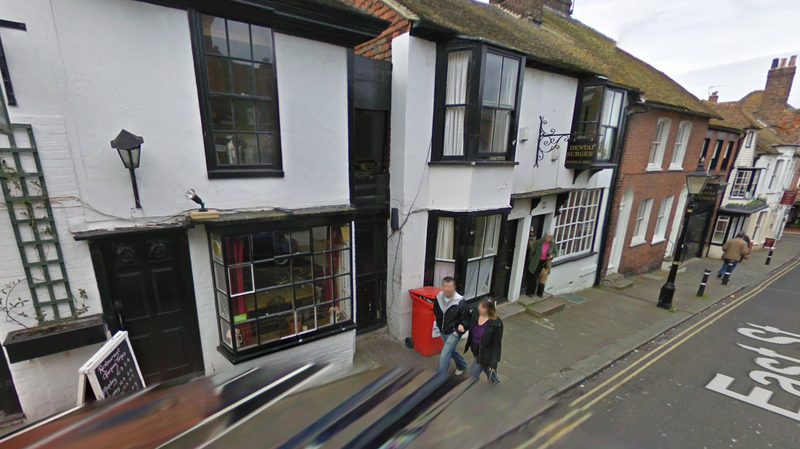 And then, of course, there are the two houses themselves. Two houses and two cars in 10 years seems pretty modest to me. Of the remaining things 20 of them (2%) relate to playing music in some form or other – pianos, effects, recording devices, software; and 44 (5%) are what I called personal (6 bottles of aftershave, though I’m sure I’ve bought more, 5 fountain pens, and 3 pairs of sunglasses). So that’s the stuff; just over 10 years collapsed into 5 paragraphs. What’s happened to it? Of those 878 items I no longer have 593 of them. Of the things that have gone I have given away 127 (mainly items of clothing to charity shops), I’ve lost 17 things, sold 96, had 5 things stolen – including Stumpy, a much-loved mountain bike – and thrown away 322 things. That’s right, 322 (or 37%) of items that I’ve had in the last 10 years have gone in the bin. A few will have been things that were simply used up, but not many. The good news is I still have 285 of the 878 things I bought! And some of them I’ve kept for a long time. Of 67 things I bought in 2001, 14 years ago, I still have 16 – almost 25% of them, 5 of which I consider highly valued. Three of those highly valued things relate to cycle touring – panniers and a handlebar pack – one is Philippe Starck’s lemon squeezer (below) that always finds a prominent position in the places I’ve lived, and the final thing is a Cambridge hi-fi amplifier, still pumping out the tunes, although recently developing a frustrating buzz (perhaps time for a new one?). 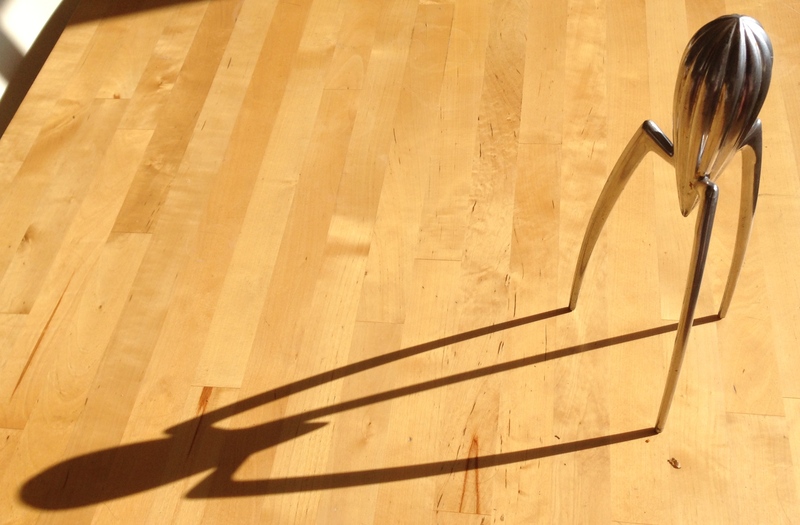 Philippe Starck Lemon Squeezer, an item I value highly, bought in 2001. At the other end of the scale, of the 87 things I bought in 2011, 4 years ago, I still have 56 (65%), 25 of which are ‘high value’ items. 18 of those things are items of clothing, 5 are things relating to cycling, and the remaining 2 are things relating to golf. 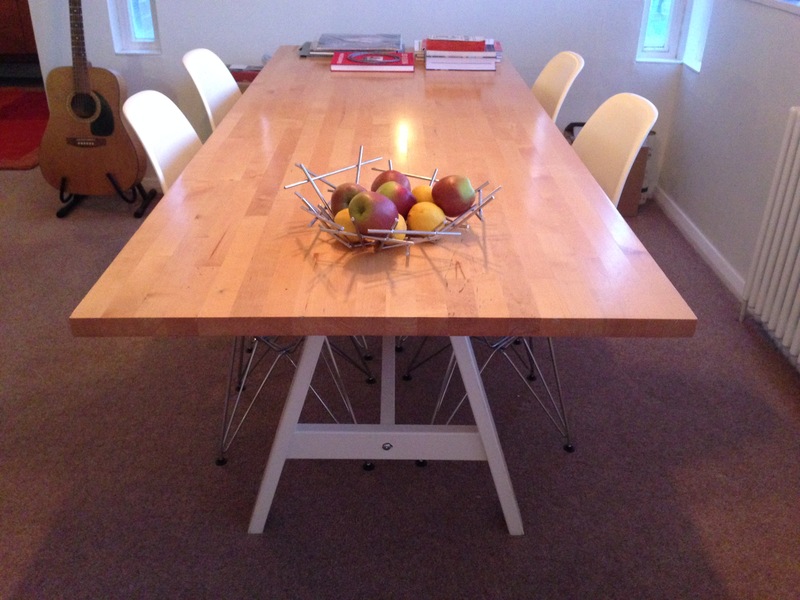 The oldest thing in my list that I still have (and value highly) is an Ikea dining table (below), solid and simple, bought in 2000. The oldest ‘high value’ thing in my list – an Ikea table, bought in 2000. Really it is the things that I’ve rated as ‘high value’ that I’m interested in and that, on the surface, hold the key to uncovering how things have become meaningful in my life. ‘High value’ is just a subjective measure; a feeling that, when I read the name of the thing on a list, I like the thing. It conjures up its image, it makes me smile, I can call it to mind easily, and re-experience the pleasure and quality the thing gave me in its use. So of the 878 original things, I’ve rated 161 of them (18%), as having high value. The largest proportion of these things are 59 items of clothing closely followed by 51 items of sport, 23 ‘house’ items, and 17 electronic items. If I look down the list of high value items 25 of them I have used in the last month, 6 I have used today, and I am currently using 3 – my Wacom graphics tablet (13 years old), my Bosch washing machine (12 years old), and my Carhartt leather belt (4 years old). 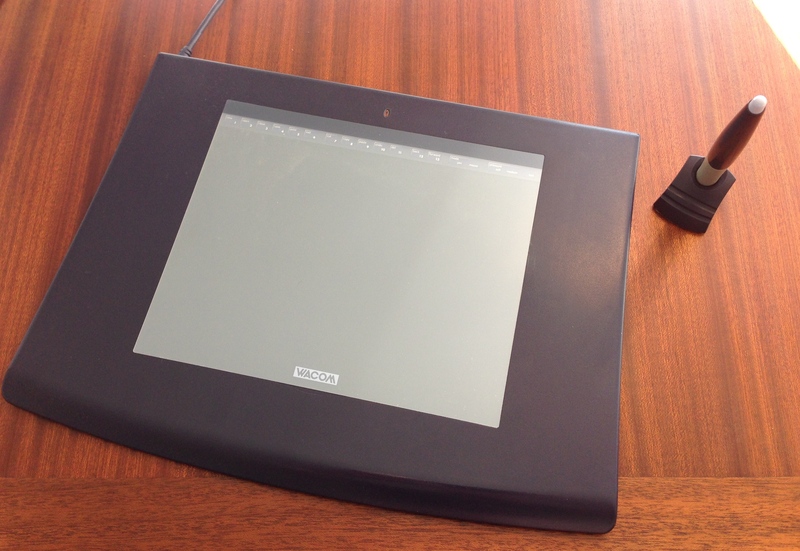 Wacom Graphics Tablet, an item I consider as ‘high value’ and that I am using at this moment, bought in 2002. That’s it! The raw stats about all the things I’ve bought and used over a 10 year period. I can’t help feeling disappointed – is 18% all I have to show in terms of value in 10 years? Where I failed was in fully documenting the life of each thing. At the beginning it seemed simple enough, recording the narrative arc of a thing’s life. The expectations at birth, the early difficulties, the later years of declining use and usefulness. The inevitable end. Of those 878 possible stories I only actually recorded 24 of these and I realise now that this mainly happened when something out of a normal narrative happened – the product failed or broke (a Canondale mountain bike), or I lost it (a Nokia 6510 mobile phone, a Sony portable CD player), or I got it repaired or replaced (a Parker fountain pen). Most of the stuff just abided with me for a length of time and then got thrown away; that’s the normal narrative, hardly worth recording. I did notice that there were clusters of things that supported certain activities. Golf clubs, bags, shoes, shirts, and trousers for golf; computers, software, keyboards, mixers, and cables for music recording. It wasn’t necessarily the things in themselves that I valued but their combination, providing a scaffold for entertainment, enjoyment and a feeling of progress and development somehow. My investment in these things was also an investment in a certain activity, though I realised after a while that it is a fine balance; the need to have the thing that is smaller, operates faster, is more responsive and efficient can quickly become the focus of your activity rather than the activity itself. Buying a new mountain bike might make big improvements to comfort and performance but it is still the feeling of being out in the middle of the countryside and turning the pedals that I value most. Unexpectedly, the clothes category contains the highest number of ‘high value’ items. Clothes, it seems to me, become you in a way that other things don’t. They lie close to your skin, they take on your scent, they construct and project your identity – in colour, in form, in detail – and provide a level of comfort and reassurance; a structure to exist in. Clothes adapt themselves to us and they, as we, change through the years, both as fashion changes, but also through continual cleaning. Jeans get looser, T-shirts fade, underpants slowly grow bigger. You grow into them as much as they grow into you; it’s a symbiotic relationship. One thing I have learned is that wear can be a source of value; scratches that accumulate on a plate or surface, marks and dents that record events and interactions (Figure 4). Things can capture a shared history, so no wonder clothes set-off positive memories. Figure 4. Three imperfect things: (left) An Apple MacBook Air dropped at Biarritz airport x-ray machine, (middle) Phillipe Starck Lemon Squeezer, leg broken and then repaired, (right) Simon & Patrick acoustic guitar banged against furniture. Sports are the next largest proportion of highest value items and (apart from the sports clothes, see above) represent the possibility of a Heideggerian sense of connection; the piece of sports equipment becomes invisible to your consciousness in becoming part of the wholeness of your performance. When you connect with a squash ball, tennis ball, golf ball so well that it seems like something metaphysical happens; when you flow down a hill on a bike as if floating on air. Sports equipment is intimately involved in your triumphs (small though they sometimes are) and also your failures (large though they sometimes appear). That description of high value items might be applied to other products too, though less often. When I use my iPhone, or drive a car, or play guitar it sometimes feels like me and the thing are thinking together. I just don’t get that with a printer, or a kettle, or a light; those things mainly just function, though obviously they have to fit the environment and get along with the other things. So where things work the best is when their story becomes my story, when our narratives combine even just for a short time. That’s when the magnetism and magic works with me in a way that I don’t even notice; the supporting cast to my star-of-the-show. Actually, reviewing my list in its entirety I am amazed by the number of things that I can remember quite distinctly, whether I’ve valued them or not. I often remember where I bought a thing, though not usually where I parted with it. Things provoke memories and recall experiences; the more the thing becomes you, the more intense and emotional that memory is likely to be. Like music, things take you back, things help you out, but they don’t solve the vast majority of your problems. So what kind of machine am I? I think a not too efficient one, though there have been moments of purring performance. It seems I have far more input than output . I also have a nagging feeling that if I had input less then I would have output more; that I haven’t made best use of the machine or even misunderstood its basic operation. I can’t claim to dislike the person whose life I have examined through this inquiry, but I can’t claim any love either. The things, although constituting a significant part of life, don’t, in the final analysis, really matter that much. The reason I don’t buy home insurance is that I hope that one day I’ll come home and all my things will be gone. Then I’ll have a blank sheet, to start all over again. Italo Calvino (1984) Quickness in Six Memos for the Next Millennium, Harvard University Press. Oliver James (2007) Affluenza, Vermilion. The artist Ed Ruscha loves a Gas Station. From Arizona to Oklahoma to Texas to LA, Ed recorded twenty six of them in his book Twenty Six Gasoline Stations (to go with Thirty Four Parking Lots). These roadside pavilions stand with their reassuring brand out front, beckoning to the long distance motorist – modern forms in the face of wild nature – we’re here to keep you going, they say, why don’t you stop by? Gas in the tank keeps the world economy going too and Standard Oil, shown in one of Ruscha’s Gasoline Station photos below, was once the world’s largest corporation. Ruscha takes this image and stylises it in the drawing below (and subsequent painting), simplifying the form and accentuating the perspective so the viewer feels smaller and the building more dynamic; maybe even hubristic. The gas station becomes abstract and generic too – the shop is blanked out to foreground the four pumps and the ‘Standard’ sign. We could be anywhere in America now, but it is a vision, or reflection, of modernity – in architecture, in service, and in the victory of the automobile and mobility. The artistic statement, of course, is ambiguous; the celebration, if it is there at all, carries undercurrents; of Hopper-like loneliness and alienation, of urban fragility, of corporate dominance, of Hollywood glamour. Perhaps inspired by Ruscha’s inspiration (or the Hollywood glamour) I too have become a connoisseur of gas stations – the US and the UK variety – particularly gas stations that have closed down, leaving Ruscha-like abstractions of themselves; frozen at a time when the petroleum ran out (at least for the locality). 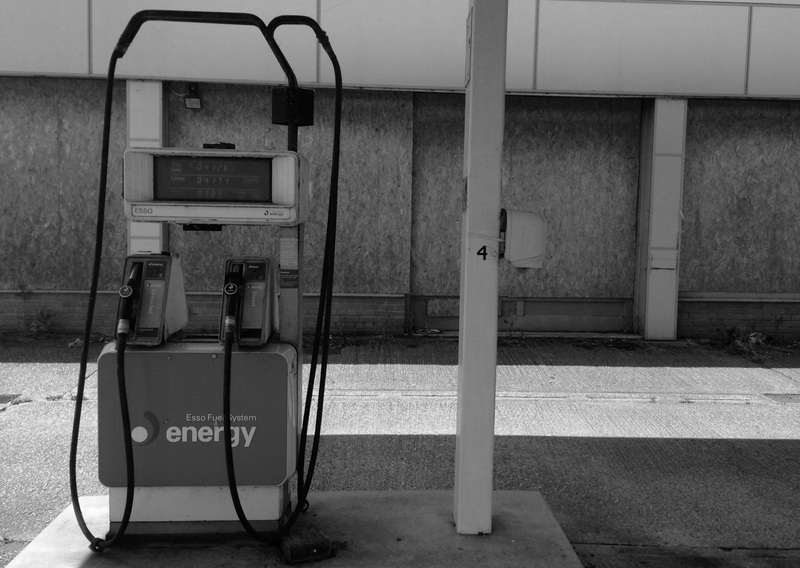 I came across a good example recently in West Sussex, an ex-Esso petrol station with the pumps still intact. 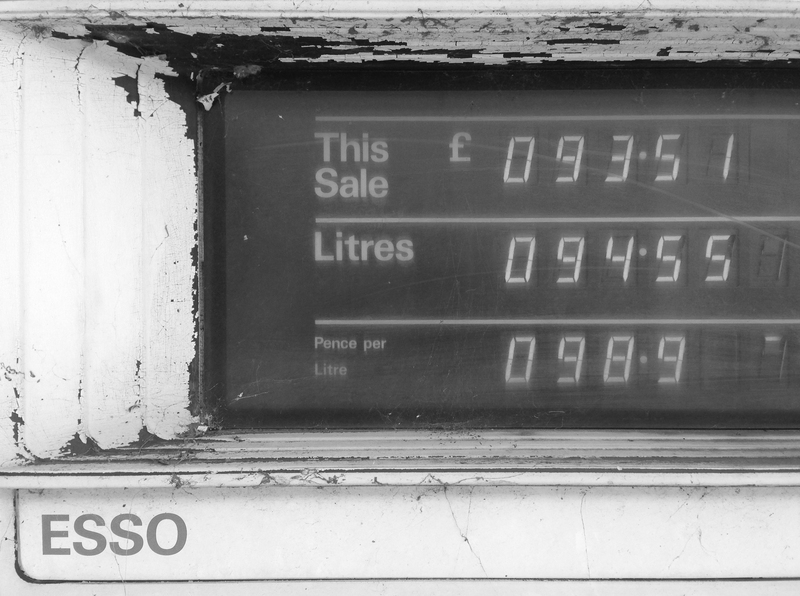 Esso, coincidently, were one of the off-shoots of Standard Oil when it was broken up for being a monopoly – the S and O of Standard Oil forming the phonetic Esso. This time though, rather than a sense of modern design’s triumph over nature, there was a sense of nature beginning to re-take control. The spiders’ webs on the pump handles and weeds beginning to push through the concrete a testament to the first signs of ruin. 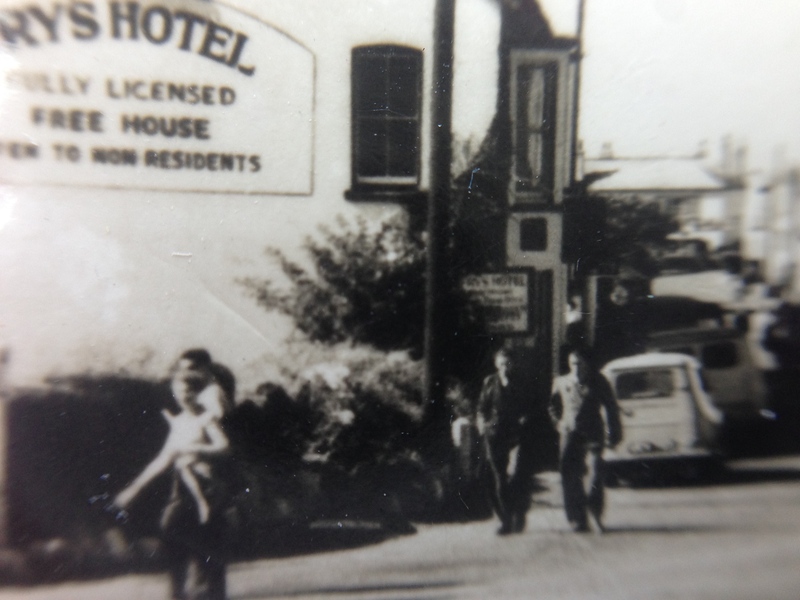 There was an eerie, pre-apocalyptic feel to the place, like the oil had run out not just in the locality, but in the rest of the country too, the pumps stuck at a time when unleaded cost 98.9 pence per litre. Less super drama, more like the end of the road. Today it is Apple who are the world’s largest company, with Google not too far behind. Tech companies have overtaken the oil giants but they need energy to function and fossil fuels are falling out of fashion. In 20 years there may be many more gas stations in ruins – signifiers, not of progress and modernity, as in the 1962 of Ruscha, but relics of a past when we took and took and took from the earth until there was no more. Wolf, S. (2004) Ed Ruscha and Photography, Whitney Museum of American Art. The End of Capitalism or Capitalism by Design? “The power of imagination will become critical. In an information society, no thought, debate or dream is wasted – whether conceived in a tent camp, prison cell or the table football space of a startup company. On a first reading I nodded my head, connecting with what was said – the value of ideas from areas least expected, the need for imagination, the intrinsic relevance of design, and particularly the open-source nature of the postcapitalism project. 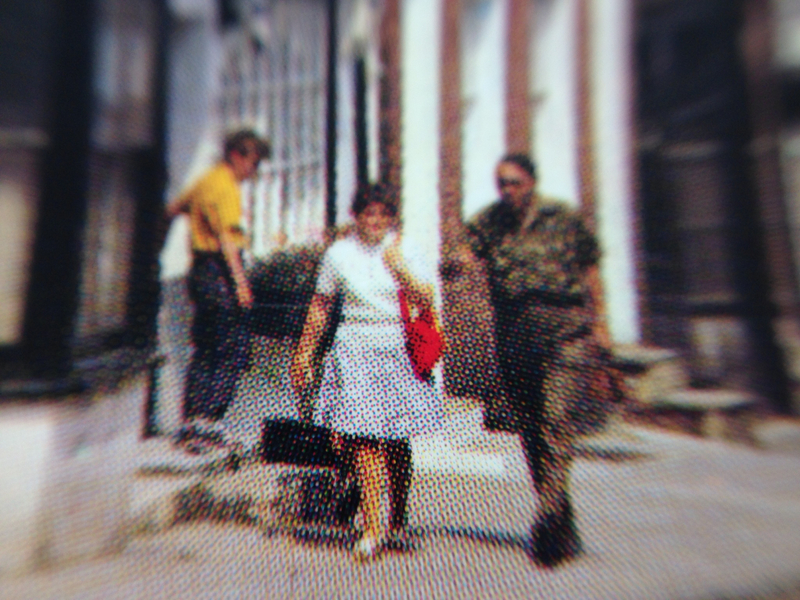 But rewind a bit and read about that modular design process again and it all begins to sound a bit, well, 1970s. Right down to the ‘post’ prefix of the book title. In previous posts I’ve talked about the economics of intangible goods, about open-source design processes and about how design thinking can be appropriated for good or bad. Mason’s article does kind of add all those things up in a thought-provoking way, but I’m just wondering, now that governments around the world are on to design in a big way , if Postcapitalism might just be Capitalism by Design. Mason, P (2015) The End of Capitalism has Begun, The Observer, Sunday 19th July. See, for example, a recent gathering of government policy labs which use methods of design to develop policy. After something of an extended blog break, stuck on a long (and not-yet-finished) blog post, my attention was captured and diverted by a second-hand book purchase last weekend. 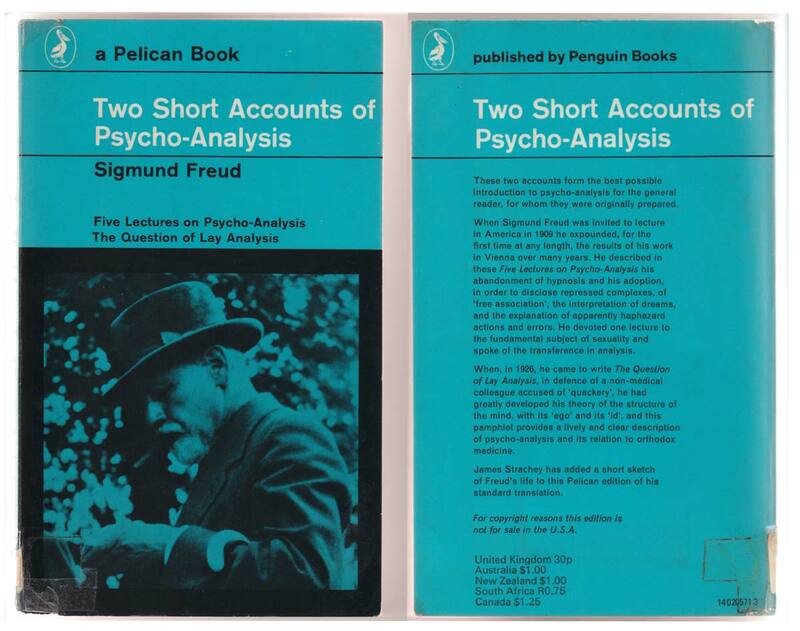 Two Short Accounts of Psycho-Analysis by Sigmund Freud cost me 99 pence, although the original cost only 30 pence. Published in 1910, the elegant, Marber-grid-designed Pelican 1962 version I found had (so a blurred stamp on the first page told me) previously been part of the Maria Assumpta College Library in Kensington, London. The reason I was drawn to this passage was that it reveals the complexity of even the simplest of our thoughts. A thought can be thing, but it can also represent another thing, and the meanings can be very particular, not necessarily ‘rational’, sometimes uncomfortable, potentially debilitating. My own design research started in the area of design thinking when design thinking meant design cognition and not the general-purpose creative tool it has now become. Central to design cognition, as indeed to all cognition, as indeed is all cognition, is thought. I spent a lot of time thinking about what goes on in the mind of a designer – what thoughts flick through their brain when they’re designing something – where do the memories come from? How does remembered experience feed into the pencil, sketching the new solution? At the time I took a simple-minded approach to thought. If a person said they’d thought of a ship, I noted it down, and didn’t question why they’d thought of a ship. A ship is a ship is a ship, I thought (and that sketch does look like a ship, I thought). But over the years I’ve noticed that good designers share certain traits; an emotional connection with material and things; a fixation with small details. Getting it just right matters, and that ‘just right’ involves not just aesthetics, but an emotional connection, a feeling that can’t be reasoned away, sometimes a mild hysteria. Freud touches on thinking at the deepest level, where the sources and the structures and the mechanisms are incalculable and often illusory; logical dead ends. Where symbols erupt seemingly from nowhere; standing for things long gone from conscious memory; an emotional residue . So perhaps to be a designer you have to be just a little bit hysterical. Unable to walk away from a memorial cross without a feeling of melancholy, unable not to shed tears at the destruction of a fondly remembered building – the Macintosh library to fire at the Glasgow School of Art, for example, or the Tricorn Centre to demolition in Portsmouth. “Memory”, the Enlightenment Philosopher John Locke wrote, “is the key to identity”, but it’s a difficult thing to nail, especially when you’re interested in design thinking. mnemic – relating to the capacity for retaining the after-effects of a particular experience or stimulation. Compare this to the ‘speaking countenances’ of Thomas Hardy in another post, where a point on a bridge develops a character formed by many troubled person’s contact with it, and thus where the environment intrinsically ‘remembers’ and represents what has happened there. One of the best portrayals of how the unconscious mind draws from prior experience, going back to childhood, is shown in the film The Eternal Sunshine of the Spotless Mind, when a memory erasing device attempts to track down the source of every last memory relating to the traumatic experience of a relationship breakup. 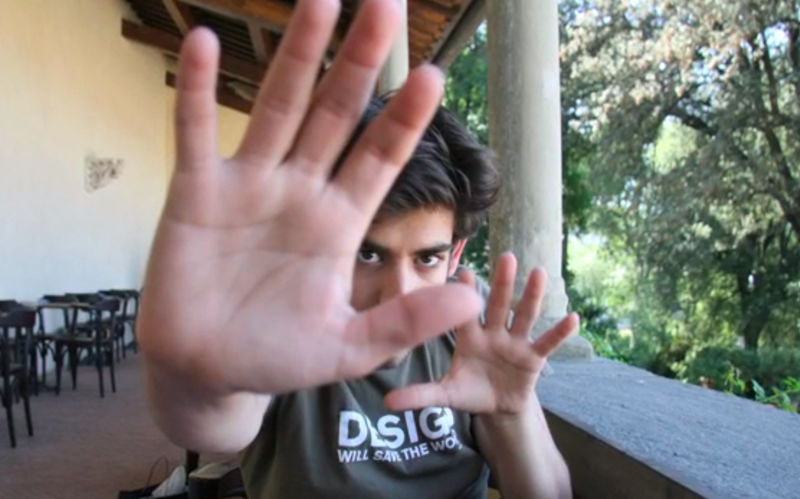 In a past post I wrote about the mysterious design genius of Bitcoin creator Satoshi Nakamoto and on BBC television recently was a documentary about another internet shaper – Aaron Swartz, who played major parts in developing RSS feed technology, Creative Commons implementation, and the social news website Reddit. The documentary is called The Internet’s Own Boy and is available (courtesy of Creative Commons) through The Documentary Network. I urge you to watch this to gain an account of how global politics is lumberingly, awkwardly, waking up to the democratic power of the web and how that, paradoxically, is threatening democracy, or at least what passes for democracy in the western world, post Wikileaks and Edward Snowden. It is a hopeful, then utterly heartbreaking, account of how someone with technical genius and political skill, someone devoted to democratic ideals of openness, and with the energy, creativity, and organisation to really achieve change, is slowly and deliberately brought down. “Design will save the world”, it says, and it’s easy to see why he might have seen design as a key force in the projects he was involved with: creating forums for knowledge exchange, making ‘private’ research information public, and allowing creative outputs to be used by all. But designing at this level is becoming a dangerous and political business, which probably means it is absolutely vital that we try to protect and support those people who know how to do it. The ‘they’ could be a Barak Obama political campaign – or any politician’s for that matter. It could be Facebook or Google or Vodafone, or any new start-up. It could be David Beckham or Victoria Beckham or even Brooklyn Beckham. It is, in fact, a general description of how social movements voice dissent and hence how objects can be appropriated for ‘disobedience’. 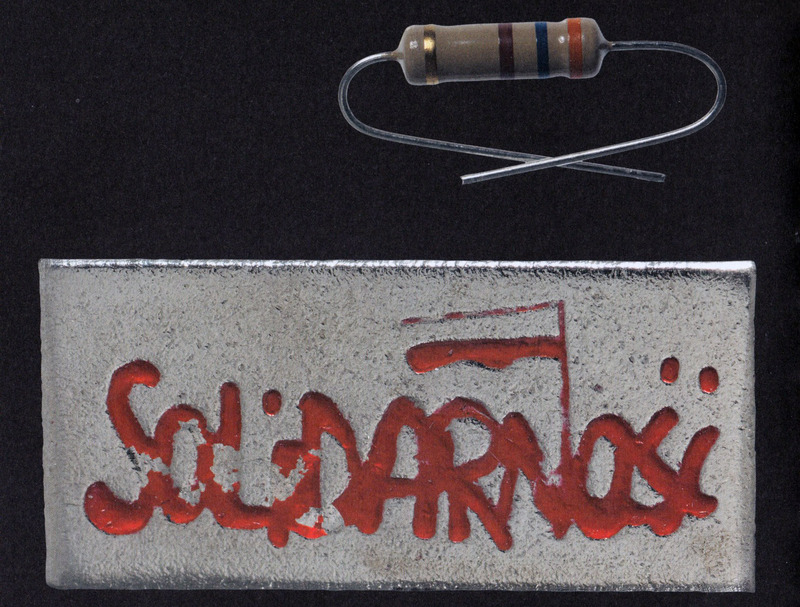 The use of all manner of objects in civil disobedience shows how creativity and design is essential to form an effective protest. Police using tear gas? 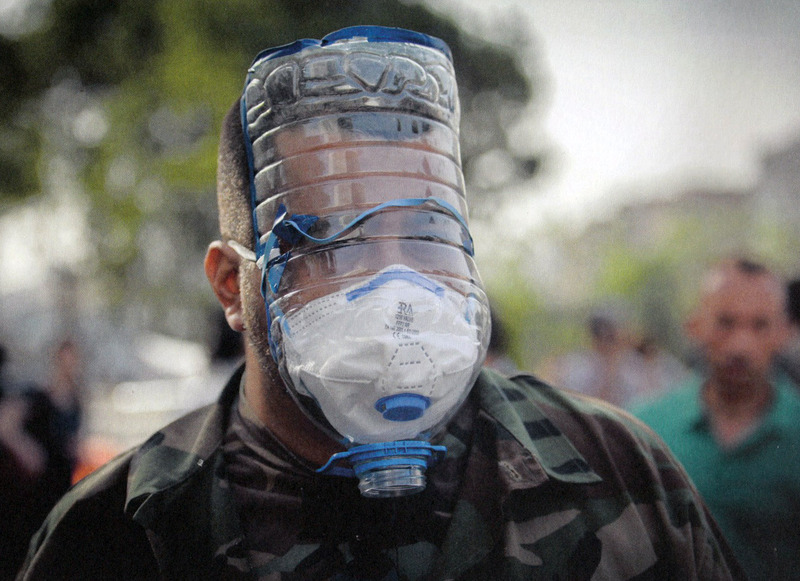 Make a gas mask out of a 5-litre water bottle (see below). Need to lock yourself to a post to stop a road being built? Make a lock-on device using a metal pipe with nuts, bolts, and chains. Need to distribute information quickly to avoid censorship? Make a pamphlet bomb. The quote was interesting to me because of my teaching in the area of Design Thinking. Rewind to 2009 and I was working for The Open University to put together a new distance-learning course called Design Thinking: Creativity for the 21st Century. Currently over 4000 people of all ages and abilities have studied the course – most with no previous experience – and learned about the many ways in which the methods of design can be applied . In putting the course together, and arguing for the University to invest a considerable amount of money in a new area, I justified it in one primary way: that teaching design methods to people who wouldn’t normally have access, or the confidence, to undertake such an education was empowering; a way of engaging more with the world around and consuming less. Design to self-actualize, in other words, not design to produce more pseudo-useful stuff. Of course there were other aims too. Giving people a foot up to study Design in a Design School, for example, or using Design Thinking to contribute creativity to an organization or service. And that is where the link I made above comes in; Design Thinking is an ability that can be used equally effectively for business or, bizarrely, for protest against business. In fact, ironically, the strategist planning an effective protest probably has a lot more in common with the strategist in politics or corporate business than they’d like to think. It does perhaps reveal the strength and weakness of having a Design skill too – its political agnosticism. Design can be used for good or ill, protest or profit, obedience or disobedience. I like to think that my teaching in Design Thinking produced, if not outright disobedience, then a measure of resistance (as one of the objects in the exhibition nicely exemplified, see below). I mean resistance in the sense of a questioning of the world around. But that may no longer be the case, if it ever was. The Design Thinking course is now being offered as part of the Business Studies degree, and they’ll be no Protest 101 any time soon I’d wager. Floor, C., Grindon, G. (2014) Disobedient Objects, V&A Publishing. As a nice piece of Design Thinking in itself, the description about how the mounts to display the disobedient objects were put together is worth reading. 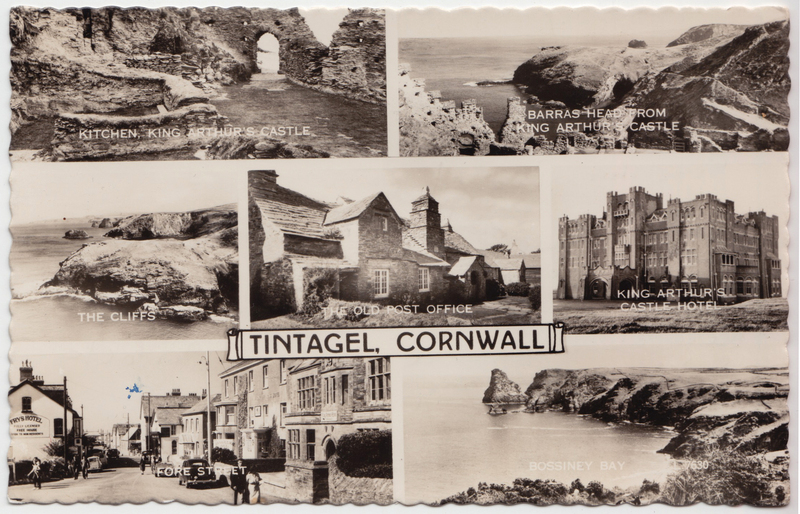 Two interests collided the other day: continuing photographic experimentation and postcard collecting. I recently bought a mini-magnetic-macro lens for my iPhone (nowadays the only camera I carry with me) and have been rediscovering the worlds revealed by extreme close up. Buying the postcard shown below, of Selfridges department store in Oxford Street, London circa 1970, and taking close up photos with the macro lens, revealed some nice aesthetic effects along with reflections on suddenly examined life. 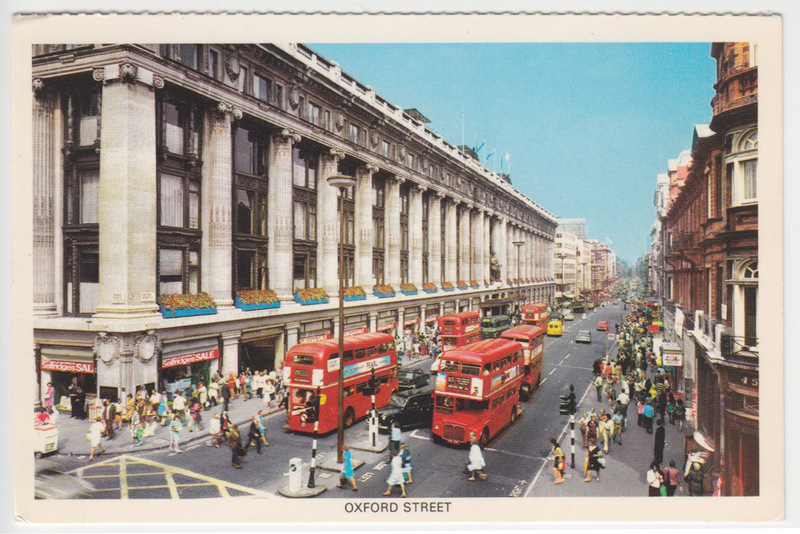 The postcard is of Oxford Street I’m guessing circa 1970 and shows a classic red bus / black cab shot of London outside the famous Selfridges department store. The first macro photo is from the bottom left of the Postcard. 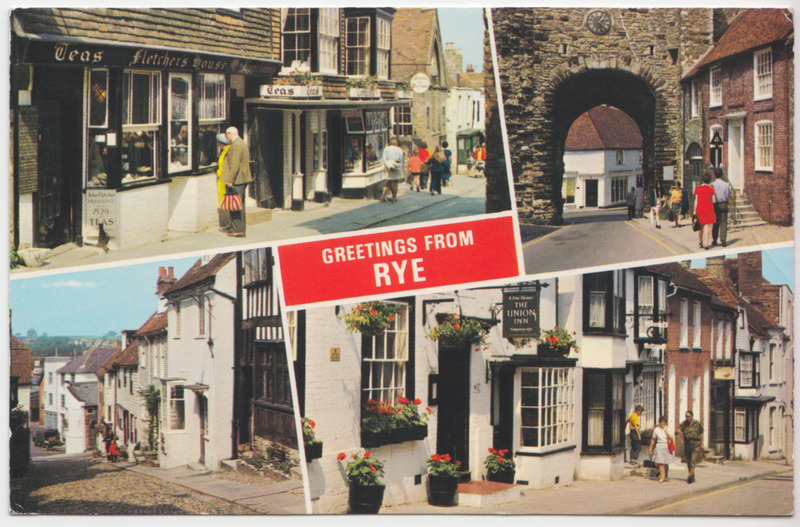 The second macro photo is from the bottom right of the Postcard. The image samples remind me of a sophisticated computer-generated model for a new piece of urban design (see past posts on representation); not quite real, not quite not-real; unreal realism you might call it. 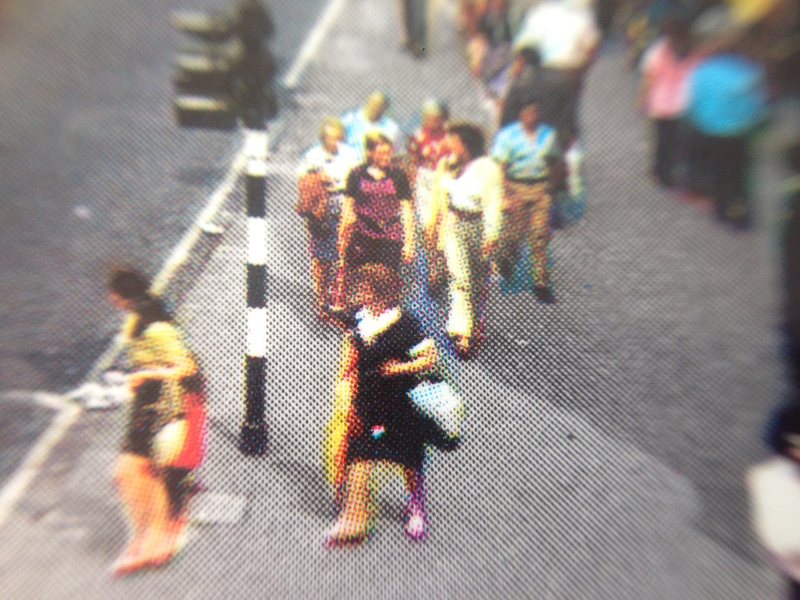 The narrow depth of field of the lens introduces a realistic motion that isn’t there in the postcard, while the people caught in focus move centre-stage. 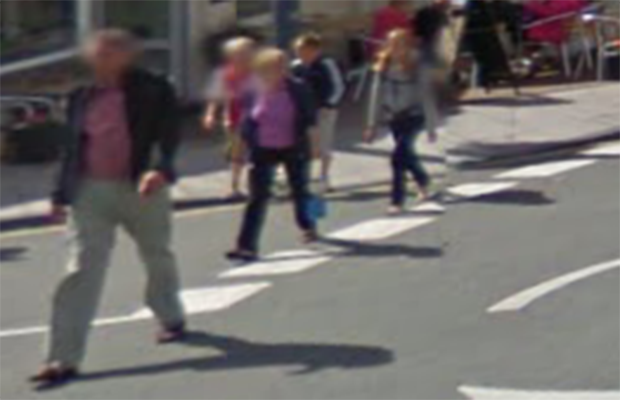 What is that old man thinking as he crosses the road? 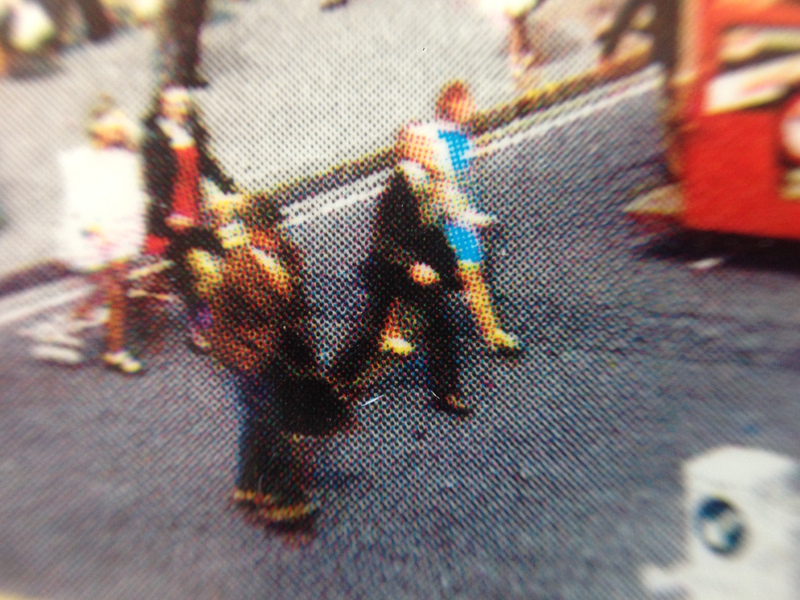 He looks so… sad, reflective and calm amongst the bustle of traffic and people. Perhaps he has just lost his job, or wife? or maybe he is just walking to work. 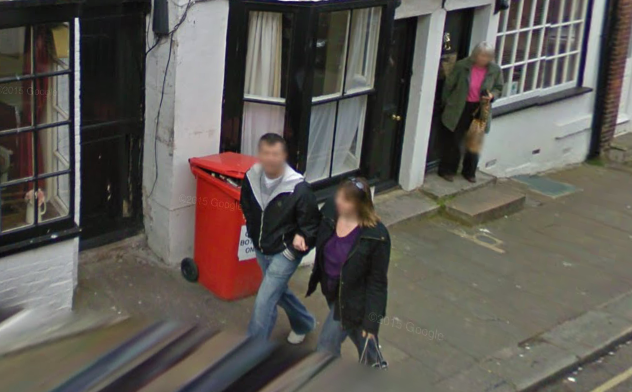 Perhaps he knows the women in the second image, just about to cross the road, with her bags? Perhaps she is his wife, or daughter, or the women next door that he often catches himself thinking about. So ideas, according to the two people above, are neither in the thought or the thing, but in ‘the quality of the way an idea grips the world’, in the case of the first quote, or ‘making [the idea] real’, in the case of the second quote. It’s in how the embodied idea forces its way into the world. Person 1 has a studio that employs ninety people: architects, engineers, technicians, and two cooks. Person 2 works for a global computer corporation. Getting warm yet? The fact that it is difficult to tell who is who in the above quotes reveals a similarity between art and design that is often overlooked; roughly speaking, the emergent quality of things. Both are iterative processes of making, to find out what is or might be. And this is a delicate process, easy to disrupt by too much exposure, too soon. An artist or designer must be able to handle fragility and uncertainty, nourishing and nurturing an idea whenever the opportunity arises – in making, in testing, in conversation, in thought. That’s why a supportive environment is so vital to creative processes; to help both the nourishing and nurturing and in determining the degree to which an idea grips the world. The studio is the traditional environment that supports the growth and exploration of ideas – in music recording, across the arts, and design – but ideas of what a studio can be are opening up and going online. In the words of Person 1: “The studio is not a closed unit, it’s an instrumental part of society; creativity is about interdependence”. That says something about the way we should value creativity in society, I think, as something that both generates growth and connects expertise around a common discourse. That might be a design discourse or an artistic discourse, but the effects are the same: compelling ideas that show us how we should live, and help us to live better. And who are the people? Well, Person 1 is Danish-Icelandic artist Olafur Eliasson, famous for the 2006 ‘Weather Project’ setting sun in the Turbine Hall at London’s Tate Modern, and Person 2 is the British head of Design at Apple Computers, Jonathan Ive. His Place in the Sun, Olafur Eliasson tells Jackie Wullschlager about the challenge of staging an immersive spectacle at the museum of France’s richest man, Financial Times Weekend, 6-7th September, 2014. Just around the corner from my flat in Hove is Canham & Sons, a butcher of the highest order, with queues snaking out of the front door at weekends. If you’re in Hove and you need raw flesh, Canham & Sons is the place to go. Christmas time is especially busy for butchers and I came across an interesting piece of systems design when I called in for a scotch egg today. The photo below shows the inside of the shop and it’s worth clicking on the image to see the large version and full detail. Canham & Sons, a popular butcher at Christmas time in Hove, with their ‘wall of orders’. It shows a bustling butchers, full of people waiting to be served, sausages and game hung in the window, joints of beef on show, and eggs piled high on the counter. But take a look at the back wall, which normally consists of a tiled and mirrored surface. Virtually all of it is covered in leaves of paper from a simple notepad. Each one represents a Christmas order: a small turkey for Jeremy, a large goose for Rosemary, a whole smoked ham for J. Reed, and a rib of beef for 8 people for Hartwell – just four of over five hundred orders. All orders have a name and a number and are hung more-or-less alphabetically in a defined grid. Instantly one sees what Christmas, or more precisely Christmas Eve, means for a butcher, and can understand the customer base that supports the business. The ‘wall of orders’ fulfills a number of functions simultaneously and therein lies its design genius. 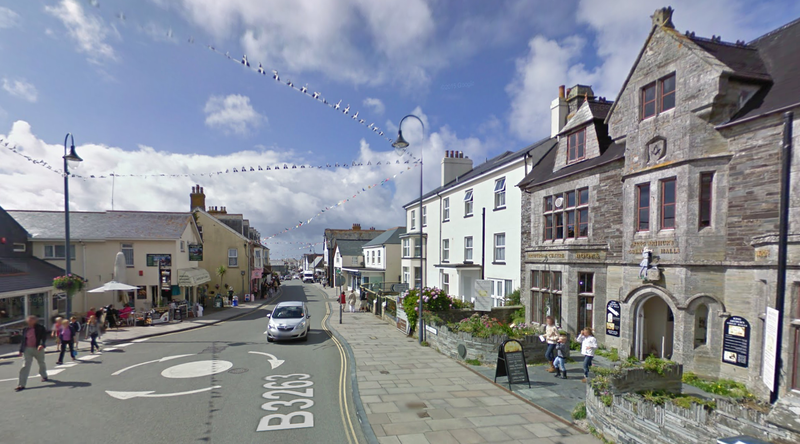 First, it’s a simple visual representation of how popular the butcher is – 500 people can’t be wrong! Second, it provides a sense of a well-managed and well-ordered butcher. Third, it values every single customer by giving them, equally, a small piece of real-estate on the wall (and providing a nice reminder should anyone want to check that they really did make that order). Fourth, as it builds up it provides a sense of the coming event, like a meat-themed advent calendar. Most of all, however, it works on Christmas Eve, when a whole team need to match their customers to their meat. Rather than having an order book to rifle through, or a database to access – both ‘one-at-a-time’ processes – it provides a parallel but pretty much failsafe way for multiple people to work together. It also provides another visual reminder of how many orders there are to go, as they are taken off the wall, one by one. This time a reversed, meat-themed, advent calendar. The simple understanding that such a system provides – to employees, to customers, to the passing photographer – represents a kind of joie de vivre that few commercial design systems produce, and all without a Post-It note in sight. Christmas orders could so easily be a drudge of queuing, checking, confirming, but at Canham & Sons they are turned into a performance of, if not democracy, then at least benign dictatorship, or something like community.